I love Christmas! Always have, always will. I love the tinsel and baubles, the Christmas trees, the carols, the candles, the Midnight Mass, the nativity plays – in short, everything about Christmas. No other celebration has caught my imagination in the same way. Easter comes close, but I never really understood it, especially the difficult bits in Holy Week. No, no, no…..Christmas takes the cake (if you’ll excuse the humour). quality of the wrapping reflected the love with which the gift was given, and I took great care in choosing only the best paper and ribbon with which to wrap my gifts. 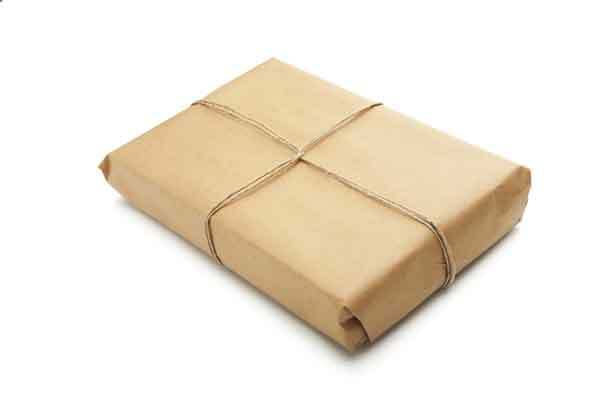 I still remember one Christmas when my older brother gave me my present wrapped up in brown paper tied with string. I was not impressed. It contained a book, which ended up behind the tree, out of sight, and was eventually relegated to the top shelf of my book case. To be frank, it was never opened, let alone read. Then I experienced the worst Christmas of my life. I had been involved in a very nasty car accident, and ended up in hospital with serious injuries that took months to heal. During that time, as I languished in traction and bandages, I did a lot of praying. But it seemed that my prayers only bounced off the ceiling back at me. I tried to picture Jesus, but all I could think of was the baby in the manger, surrounded by fluffy white lambs and a soft angelic light. Not very helpful at all. I mean, what can a baby do in my circumstances? It was all very depressing. Then I received a visit from the hospital Chaplain. I found myself weeping on her shoulder, and lamenting my unanswered prayers to the baby Jesus. “You know, he did grow up.” she said. “Being born in a stable isn’t exactly sweetness and light – have you ever thought of that?” she said. I had to admit that I hadn’t. “But where does this leave me?” I wailed. “The gift, of course.” I replied confidently. But then I thought about my brother’s present which I had never even looked at, because I couldn’t see the love for the plainness of the paper. “I think……” I went on, “I think I haven’t wanted to see any of that other stuff about Jesus, probably because it’s kind of wrapped up in tatty brown paper and string.” And I went on to tell her about my brother’s gift. “When I think about it, I suppose you’re right.” I said. I said that I would try. Then we prayed together, and for the first time in my life I began to see the wonder of the gift that surpassed everything I could ever wrap around it. This Jesus, far from being the sweet baby in the manger, was somebody who had grown up to experience what I was experiencing – the ‘brown-paper-and-string’ times – and was able to carry me through it in love. It changed my whole outlook, so that I was able to bear the pain and isolation better, even with joy. I eventually healed enough to go home. One of the first things I did was take my brother’s gift off the top shelf, dust it off and open it. I read the inscription on the fly leaf: ‘To Anne, with love, from Joshua’, and in brackets, ‘Your Loving Big Brother’. I then poured myself a cup of tea, made myself comfortable, and began to read ‘The Diary of Anne Frank’ for the first time.